This article aims to improve nurses’ knowledge and understanding of health inequalities. Health inequalities are responsible for variation in health outcomes observed across different population groups. Therefore, it is essential that nurses have an understanding of the health inequalities that can occur, and their causes. This knowledge will enable nurses to address the challenges that health inequalities can create in nursing practice. 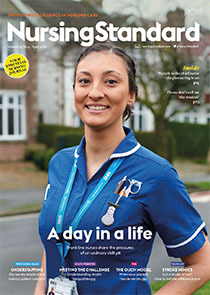 This article raises awareness of this important aspect of care, so that nurses can successfully identify and address the health inequalities that they encounter in their practice, thus enabling a holistic approach to patient care.